Can drugs cause or exacerbate seborrheic dermatitis? 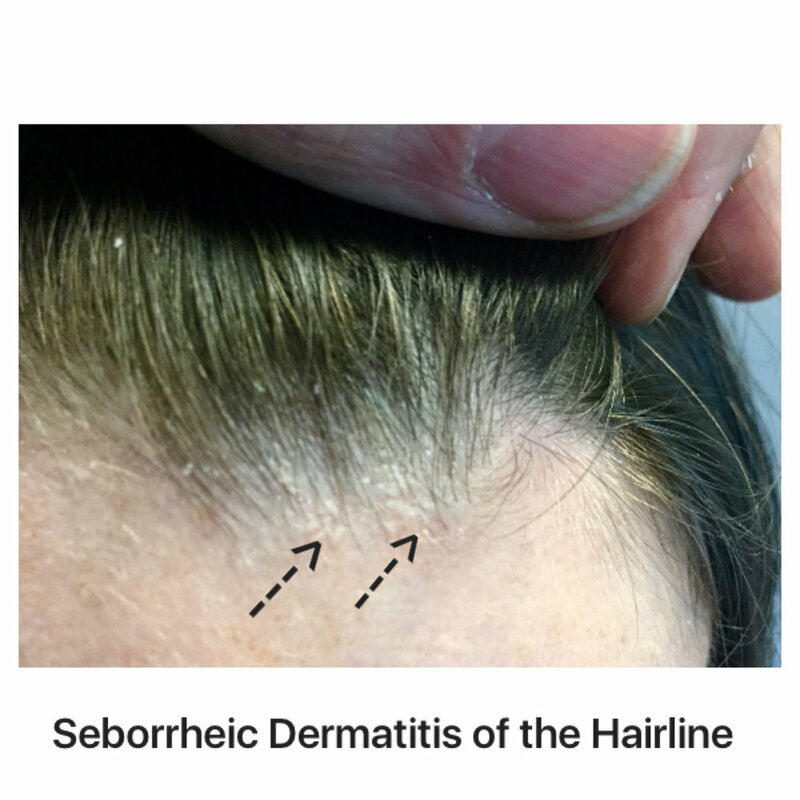 Seborrheic dermatitis is red, scaly and sometimes itchy scalp and skin condition that closely resembles dandruff. The condition is extremely common and affects 5 % or more of the population. There are a variety of well known factors that increase the risk of seborrheic dermatitis including depression, neurological conditions, alcoholism, stress, HIV/AIDS, organ transplantation and advanced age (over 60). Drugs are also potential causes of either worsening or inducing seborrheic dermatitis. The anti-cancer drugs are well known causes of seborrheic dermatitis like eruptions. Examples include dasatinib, gefitinib, sorafenib, sunitinib, vemurafenib, 5-FU, Erlotinib, cetuximab, IL-2, and interferon-α. I often advise a scalp biopsy in many of these cancer drug associated seborrheic dermatitis-like presentations as many are actually forms of scarring alopecia (ie EGFR inhibitors). Other drugs causing a seborrheic dermatitis-like eruption include griseofulvin, cimetidine, lithium, buspirone, haloperidol, lithium, methyldopa, gold, ethionamide, methoxsalen, methyldopa, phenothiazines, psoralens, stanozolol, and thiothixene.